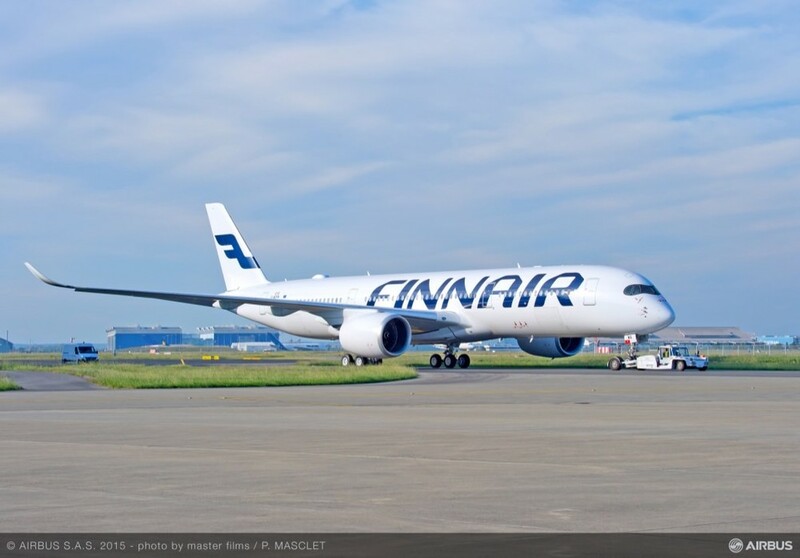 Finnair based out of Helsinki Finland is another carrier stepping up their international game with the newer fuel efficient aircraft recently introduced to the aviation industry. In the case of Finnair the aircraft is the new Airbus A350. Finnair is one of the first airlines to fly the Airbus A350, and it looks incredible. Primarily focused on Europe to Asia travel, Finnair still flies to select US cities, in some cases seasonally such as Chicago during the summer. With a fairly new fleet of Airbus jets this Oneworld carrier looks like a Reward Flying choice to Europe or Asia. Finnair was the third airline to receive the A350. On October 7, 2015 they took delivery of their first plane, MSN #18 and the sixth A350 to be delivered. Pictured below is Finnair A350 #2, delivered in December 2015 with Oneworld livery. Finnair flies threes types of aircraft internationally. Along with the A350 they have A330 and A340 aircraft. Premium class on the A330 and A340 have Zodiac (formerly Contour Aerospace) Vantage lie flat seats installed. These seats have 21 inches of width and extend 79 inches when flat. Finnair has chosen a cool blue tone to their upholstery, encased by the white cabin and accented by the Marimekko designed pillows makes for a striking environment. Configuration is the unique "throne" seats as seen on Swiss, American 767 retrofit, Austrian 777 and others. The throne is on even rows left side. These seats have extra space with a table on each side of the seat. Otherwise two seats in the center and one seat on the right side window make up the business class cabin on both A330 and A340. With nineteen Airbus A350 aircraft on order, they will replace the five A340 aircraft over the next year or so when received. The new Airbus A350 get the Zodiac Cirrus seat in a standard 1x2x1 configuration. Dimension wise the seats are almost identical to the Vantage, with the difference being they are angled which allows for more privacy. Ambient lighting is a feature on the A350. When boarding a blue sky with passing clouds paints the ceiling as shown on the bottom right photo. Lighting is gradually changed throughout the flight depending on time of day, destination and season. Twenty-four light themes can be used encompassing the use of 16 million colors. The IFE system is by Nordic Sky and features a 16 inch touch screen with many new features. The innovative system informs passengers of flight progress, timing of meal service, as well as showing video from cameras mounting outside on the aircraft, multiple variations of route maps, wi-fi and all the video and audio entertainment options you would expect. Karl Aihinen, Executive Chef from Helsinki's Savoy restaurant prepares the business class menus. The A350 even has its own signature drink called the Blue Sky. A mix of French champagne and Finnish blueberry liquor created to pay homage to France where the A350 was made. Tableware and textiles are Finnair exclusive from the Finnish designer Marimekko. Finally, Finnair has a designated lavatory for women only on the A350. 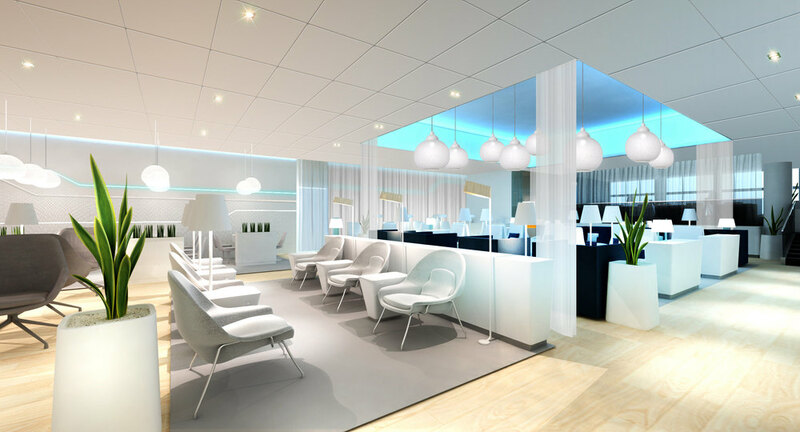 While many premium airport lounges around the world have spa's where you can get massages, take a showeror a bath, get a shave, hair and make-up done, etc., only one lounge in the world has a sauna. A Finnish sauna to be exact and of course it's in Finnair's home, Helsinki's Vantaa airport. Connect and hope for a long layover. For an in depth look at Finnair's A350 click on this link. Have you flown on Finnair? Share your experience with others in the comments section.